It’s no coincidence that you found your way here! Do you struggle with poor self-worth issues? Or feel like you’re locked into a hopeless “more month than money” cycle and can’t seem to get ahead, EVER? 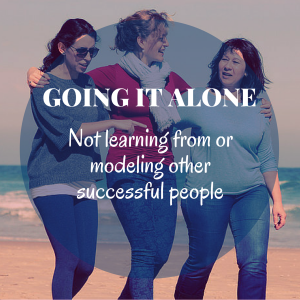 Maybe you feel like you have so much more to give to the world and you just can’t figure out how to do that? You need to break that cycle and tweak your mindset to change your point of attraction and vibration. And, that’s where I can help you! 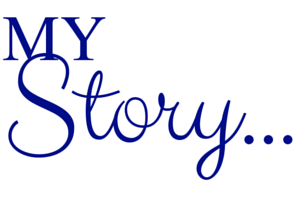 My name is MarVeena Meek, MHt~Master Hypnotherapist, Psychic Medium, Soul Rejuvenator and Master Energy Tracker. Life is really, really good and my career is flourishing! And, YES!!! you can experience the same thing in your own life! So how did all of that happen for me? I first learned how to become a Master Manifestor and Creator from my father, who is an entrepreneur. I learned a lot about creating wealth and success from him. He has created several successful businesses. He did all of this without a college education and zero support from anyone but himself. I want to share some of his very unique mindset around this with you, too! The most important thing I learned from my Father is that having more than enough money is a choice that’s available to everyone. Financial security is possible for EVERYONE! And that includes YOU! When we are not living up to our potential, we feel empty inside. That’s not a good way to live your life. The MINDSET you work with everyday can determine a lot of things that happen to you; your luck, the opportunities that come to you or the ones that don’t, how you decide to handle (or not) those opportunities, if you can see beyond a challenge, and turn it into a potential bonanza or not. Being very MINDFUL is key to success on this earth plane. It is a part of our souls “Self Mastery Agenda”. This is where my Money Mindset Mastery program can help you master your money… once and for all! We take a deep dive into Mindfulness as part of my Money Mindset Mastery program. 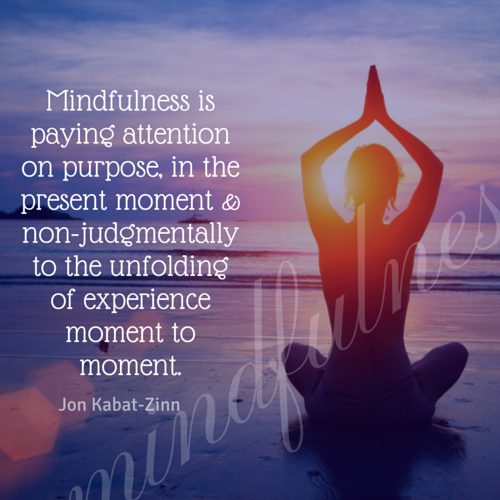 The teaching are devoted to sharing ideas that will help you learn how to be present, in the moment, in the now. NOW is a place of tremendous power. 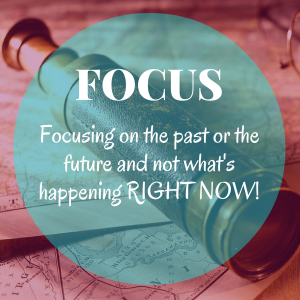 When your mind is always dwelling on the past or the future it misses the now. The “Now” is where your BEST opportunity is at!!! To be a deliberate manifestor, you have to OWN your power, from a balanced place! In the program, I teach several techniques to help you get to the root of ingrained belief systems that are hampering your success. Knowing what these beliefs are, getting down to the very root of it, and then knowing how to delete them is the only way to get out from under the grip of the limiting patterns you are running. Once that’s done, you must replace those old beliefs with a higher vibrational new mindset on the same subject! These powerful, yet simple techniques can eliminate stress, anxiety, and thoughts that keep you frozen in a holding pattern of a scarcity mindset. And, we both know that a scarcity mindset gets you no where, right!?!?! When you’re looking for people to model or to take advice from, be sure that they have been able to create success in the way you want to. In this proven program I share my daily mindset rules to live by that help me create a good living, support a horse rescue foundation and have a life filled with satisfaction and peace of mind. When you’re living authentically, you can use your natural gifts to touch the world in a positive way. Just imagine how good you’ll feel being in the swing of things! 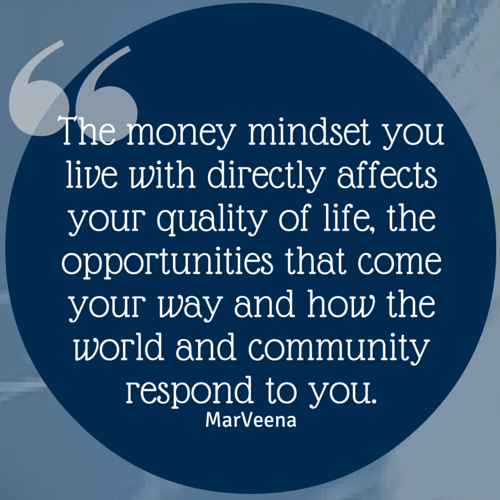 Hi MarVeena, I just wanted to let you know how much I enjoyed your Money Mindset program! It had so many valuable ideas, and it was easy to understand ! I liked the way you broke it down into daily actionable steps. That made it more manageable for me. During the course, I teach some powerful clearing processes to help you separate out the wheat from the chaff on a regular basis. We are constantly being bombarded with negative thoughts and energies. If you don't have a plan to get rid of this stuff, it will cloud your perception and your energy field, creating a false point of attraction. Have you experienced times where you were terribly unlucky, or had a long run of bad luck? Good clearing on a regular basis will shift that victim energy, so you don't have to deal with the consequences. You will learn to create external reminders to reflect your internal desires. You will learn how to appeal, on a regular and consistent basis. to your un-conscious mind so you get opportunities to live your most heart-felt desires. Our external world reflects our internal world and vise versa. Use this to your advantage!!! When you zero in on your heart desires, and get your mind and actions lined up, look out world 🙂 I have some AMAZING processes that help you decode this and apply it. There are some incredible ancient teachings that spell out from A-Z how you can re-situate your self back in the command seat of your life path. I decode them so you can easily understand and apply. The laws of the Universe apply to all beings whether we know them or not. When you do know them, you can adjust your lifestyle to play by the rules. That means you can get more wins. You feel more in control rather than at the whim of what ever chaos pattern comes your way. I teach you techniques to keep you laser focused on the project at hand. Time is precious energy and money is energy in motion. When you have a great money mindset, you comfortable in your power. You don't let yourself get caught up in other people's stuff. I teach you how to call back your power in a good way. That right there is huge!! Often people go through life not even realizing they have given their power away. Here's a little secret... "In order for you to do what your soul came here to do, you need ever bit of your soul essence and your power." No one else needs it either, they have their own soul essence to pull from. The Universe offers us little natural windows to share a dream with creation. I show you how to use these windows naturally for more potent manifestation. The Angels have a lot of knowledge to share with us about the whys and hows of the Universe and our connection to Source, to each other and to them. I have some special secrets that make interacting with Angels easier. Those interactions can pay off big for us. They want us to feel successful in our soul mission here. They will help you out when you know which Angel to work with and how to ask. Would you like to know some affirmations that help you keep your vibration high and really magnetic? I share my favorite ones. The stream of thoughts that you keep sharing with yourself over and over again will direct your life one way or another. If you are reading this, chances are good that you have some big holes in your life that are not living up to what you would like. My affirmations are a big reason why I have been able to create a amazingly rich lifestyle. In order to create any life of means, you are required to use your God given natural equipment and see it all in your head before you can see it in your life. Once you can "see" it and then experience it with your other senses, you are on the road to a successful manifestation. There is one thing you have to do to keep a perfect thought form from dissipating. Once you learn to use this launching method, you will be amazed at how you are able to get more creativity grounded into reality. I'll teach you this powerful technique and many more when you sign up for my 21 Day Money Mindset Mastery program. I didn't understand how much my Father's business savvy rubbed off on me until I came home from a very successful Rodeo PR Tour. 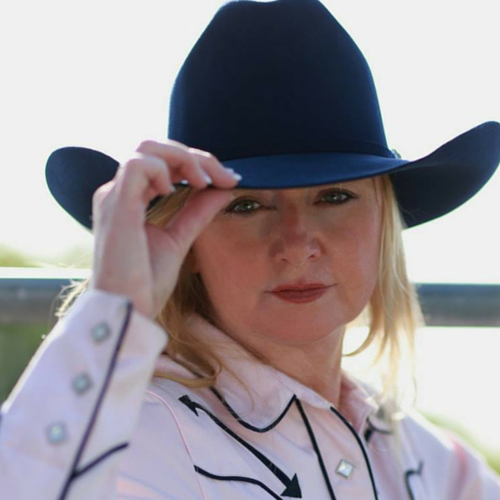 After being on TV, and picked up by Associated Press my rodeo promo images were all over the country. I was on cloud nine, having a blast making good money with my talent and creativity. I came back home for a little vacation, and went by the local McDonald's for a coke and one of my school friends was at the window. She wasn't wearing a smile. I felt bad for her that she had not really found the where-with-all to use her creative mindset to it's best. Not that there is any thing wrong with working the window at McDonald's, but I think of it as something that kids do until they get more education and can step into a better paying opportunity. This was the first time I really understood that I was raised up with a different money mindset than she and a lot of my school friends were. One thing that my dad taught me is if you don't have what you need, you make it your self. He was a self made man. He boot-strapped all of his businesses. By hook and ingenuity he pulled together his smarts and talents and strategically molded them into something solid. This money mindset is a learnable skill, and I share all of his secrets in my course. One thing he always said is "When it doesn't work, let it go and do something different. Put the failure behind you". Sometimes you have to just forgive yourself for not making good choices in life. I think that even in poor choices there is a huge amount of insight to gain if we are willing to let it sink in, learn from it all we can, and then go on down the road. I have a perfect example of this from a friend of the family. His son Donnie was a super "stud" athlete in high school football. Let me tell you some thing in case you don't already know... in Dallas, Texas Football is King!!! Donnie had been watched by recruiters since he was in middle school. As a senior in high school he had multiple offers from several top colleges in the country - Big 10 and Big 12 schools. When it came time to pick one, he choose a very unknown College that fit his personal beliefs. It was not a big well known college. Well he made the choice, and got a full scholarship to the school. It was all fine until he couldn't pass his classes, his grades were not up to the standards he needed to keep his scholarship. He lost his full ride. Small colleges don't have the resources to provide tutoring so their players can play and still pass their courses. The Big 10 and Big 12 schools have a lot more resources to tutor the kids if they need it. He LOST his scholarship and his free college education. He wasn't able to just go on to the next one, so he didn't get to play big time college football at a big school and get a good education that would come with a degree and the support of the Alumni. All of which he could have used to go on to making a good living. Which is significant. He was pretty down on himself for his decision to go to the small school. He couldn't believe he made such a seemingly bad choice. It took him a lot of soul searching and prayer to get his mindset around the turn of events from being a super hot prospected player, to an out of luck, out of school, out of work nobody. Which is what he thought was the case. He took my money mindset training. With some mindset strategies, and a significant Money Mindset Re-Boot, he has made a come back. It takes a lot of guts to go from hero football star to zero college drop out , and back in the saddle Baby! But he did all that and more to come. They have value and merit, it might takes us many years to figure out what that is , but eventually you will. A very important thing that I teach in my Money Mindset Mastery is the value of calling back your power with very specific meditations and strategy. Did you know your choice of vocabulary can make a lot of difference in how people respond to you. I have a great tip sheet of bad vibe words and good vibe words. Designed to help you get a grip on this idea. This technique by itself is worth the $97.00 investment into my program! Words have power, when you learn to put together power words, it can make a huge difference in your ability to sell your self or what ever it is that you are promoting. 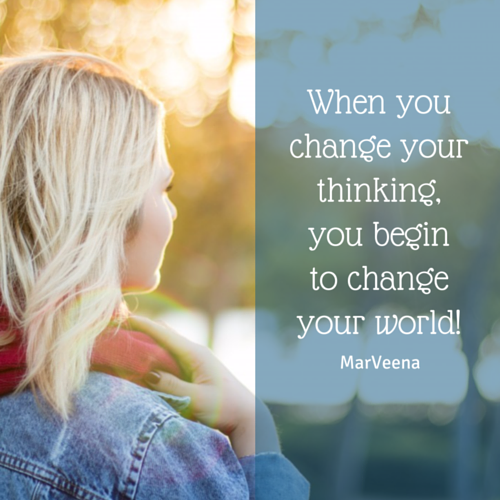 MarVeena, The material in this Mindset course turned out to be way more inspirational and useful than I had even hoped for! Please consider making a course like this to reboot mindset for attracting my soul mate. There are some things you do a daily basis that will make or break your dreams. I give you a plan, that when properly put into place, helps you follow through. Success is in the details and the follow through. I know a lot of you are sick of being in debt. While I don't have magic wand that I can wave to help you erase debt, I do have a mindset plan of action. This can help you work your way through your debt and come out on the other side in one piece. Made A Move & It Feels AWESOME!!! I just wanted you to know that I was feeling over whelmed about how to make decisions to stay in an unhappy job or shift gears into a another opportunity. The Mindset meditations helped me process my options and “See”myself happier, I was able to make a move and it feels awesome! Sending YOU Bright Blessings of Luck!!! Our brains are wired to understand code and symbolism. I have some solid techniques that show you how to use this to your advantage. These are things you can apply instantly and see some changes. 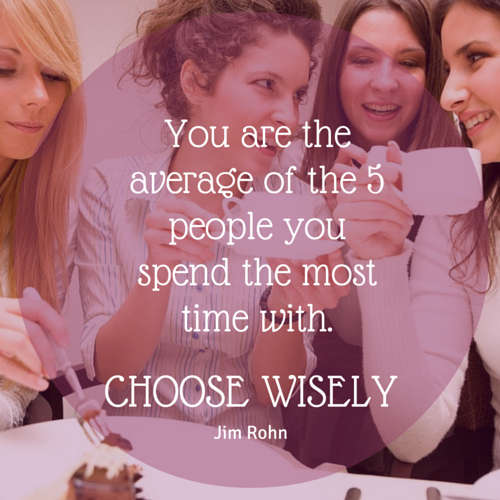 We will achieve the average of the 5 people we hang with on a regular basis. If the thought of that scared you, I have a plan to help expose your self to people that are creating on a more powerful level. This is a deliberate program to shift your mindset regarding prosperity, overcoming scarcity consciousness, creating your dream life style. Are you ready for some positive Money Mindset changes? If so, click the button below and let's get started! 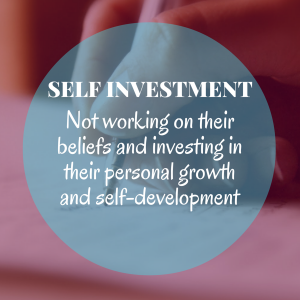 The investment in your self is just $97! YOU are worth it! Once you make your purchase, you'll get your first lesson within 12 hours. You are ready to sign up and get started today! Every day, for 21 Days, a special email will land in your inbox with all sorts of fresh ideas for you to implement right away! You'll get meditations, tips, tools and processes to go over and experiment with. Remember it takes 21 days to create a new habit. When you stick with it, you will have Good Money Mindset habits after 21 days!!! When you are crafting something as important as your life, you want to use superior tools. Tools that are on the cutting edge of what is available. The tools I'm giving you in this program support a strong money mindset and enhance your creative potential. Plus I have a sweet bonus gift when you sign up now. I'm Gifting you FREE access to my best-selling Six Week Angel Intensive email program. There is so much value and fun in this program. You will be able to maximize your creativity, your feelings of security and identity. I have put my years of training and my heart into creating this program so that I can truly support you along your journey to living your happiest, wealthiest, most empowered life! If you have any questions, you can connect with me through this email, theghostqueen"at"gmail.com or stop by Facebook Page and leave a message there for me!